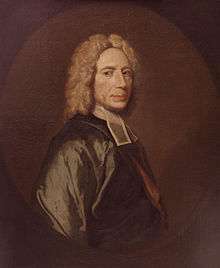 Isaac Watts (/wɒts/; 17 July 1674 – 25 November 1748) was an English Christian minister, hymnwriter, theologian and logician. A prolific and popular hymn writer, his work was part of evangelization. He was recognized as the "Father of English Hymnody", credited with some 750 hymns. Many of his hymns remain in use today and have been translated into numerous languages. Because he was a Nonconformist, Watts could not attend Oxford or Cambridge, which were each restricted to Anglicans, as were government positions at the time. He went to the Dissenting Academy at Stoke Newington in 1690. Much of the remainder of his life centred around that village, which is now part of Inner London. Sacred music scholar Stephen Marini (2003) describes the ways in which Watts contributed to English hymnody. Notably, Watts led by including new poetry for "original songs of Christian experience" to be used in worship. The older tradition was based on the poetry of the Bible, notably the Psalms. This had developed from the teachings of the 16th-century Reformation leader John Calvin, who initiated the practice of creating verse translations of the Psalms in the vernacular for congregational singing. Watts' introduction of extra-Biblical poetry opened up a new era of Protestant hymnody as other poets followed in his path. Watts also introduced a new way of rendering the Psalms in verse for church services. The Psalms were originally written in Biblical Hebrew within Judaism. In early Christendom, they were affirmed in the Biblical canon as part of the Old Testament. Watts proposed that the metrical translations of the Psalms as sung by Protestant Christians should give them a specifically Christian perspective. While he granted that David [to whom authorship of many of the Psalms is traditionally ascribed] was unquestionably a chosen instrument of God, Watts claimed that his religious understanding could not have fully apprehended the truths later revealed through Jesus Christ. The Psalms should therefore be "renovated" as if David had been a Christian, or as Watts put it in the title of his 1719 metrical Psalter, they should be "imitated in the language of the New Testament." Besides writing hymns, Isaac Watts was also a theologian and logician, writing books and essays on these subjects. By stressing a practical and non-formal part of logic, Watts gave rules and directions for any kind of inquiry, including the inquiries of science and the inquiries of philosophy. These rules of inquiry were given in addition to the formal content of classical logic common to textbooks on logic from that time. Watts' conception of logic as being divided into its practical part and its speculative part marks a departure from the conception of logic of most other authors. His conception of logic is more akin to that of the later, nineteenth-century logician, C.S. Peirce. On his death, Isaac Watts' papers were given to Yale University in the Colony of Connecticut, which Nonconformists had established. King Edward VI School, which he attended, named one of its houses "Watts" in his honour. The Church of England and Lutheran Church remember Watts (and his ministerial service) annually in the Calendar of Saints on November 25, and the Episcopal Church on the following day. The earliest surviving built memorial to Isaac Watts is at Westminster Abbey; this was completed shortly after his death. 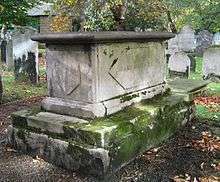 His much-visited chest tomb at Bunhill Fields, dates from 1808, replacing the original that had been paid for and erected by Lady Mary Abney and the Hartopp family. A stone bust of Watts is installed at the Nonconformist Dr Williams's Library, in central London. The earliest public statue, erected in 1845, stands at Abney Park, where Watts had lived for more than 30 years at the manor house, where he also died. 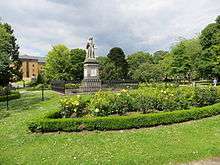 The park was later devoted to uses as a cemetery and public arboretum. 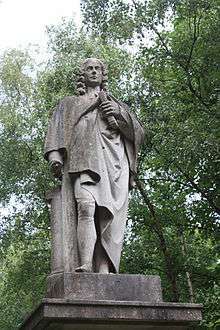 A later, rather similar statue was funded by public subscription and erected in a new Victorian public park named for Watts in Southampton, the city of his birth. In the mid-nineteenth century, the Congregational Dr Watts Memorial Hall was built in Southampton and named for him. After World War II, it was lost to redevelopment. The Isaac Watts Memorial United Reformed Church was built on the site and named for him. One of the earliest built memorials may also now be lost: a bust to Watts that was commissioned on his death for the London chapel with which he was associated. The chapel was demolished in the late 18th century; remaining parts of the memorial were rescued at the last minute by a wealthy landowner for installation in his chapel near Liverpool. It is unclear whether the bust survives. The stone statue in front of the Abney Park Chapel at Dr Watts' Walk, Abney Park Cemetery, was erected in 1845 by public subscription. It was designed by the leading British sculptor, Edward Hodges Baily RA FRS. A scheme for a commemorative statue on this spot had first been promoted in the late 1830s by George Collison, who in 1840 published an engraving as the frontispiece of his book about cemetery design in Europe and America; and at Abney Park Cemetery in particular. This first cenotaph proposal was never commissioned, and Baily's later design was adopted in 1845. In 1974, the City of Southampton (Watts' home city) commemorated the 300 year anniversary of his birth by commissioning the biography Isaac Watts Remembered, written by David G. Fountain, who like Watts, was also a non-conformist minister from Southampton. One of Watts' best-known poems was an exhortation "Against Idleness and Mischief" in Divine Songs for Children. This was parodied by Lewis Carroll in the poem "How Doth the Little Crocodile", included in his book Alice's Adventures in Wonderland. His parody is better known than the original Watts' poem. In his novel, David Copperfield (1850), Charles Dickens has school master Dr. Strong quote from Watts' "Against Idleness and Mischief". The Doctrine of the Passions – explain'd and improv'd, [fourth edition], London, 1751. Divine Songs Attempted in Easy Language for the Use of Children (1715). Many of Watts' hymns are included in the Christadelphian hymnal, the Evangelical Lutheran Worship Hymnal, the Baptist Hymnal, the Presbyterian Trinity Hymnal, and the Methodist Hymns and Psalms. Many of his texts are also used in the American hymnal, The Sacred Harp, using what is known as the shape note notation used for teaching non-musicians. Several of his hymns are used in the hymnals of the Church of Christ, Scientist and The Church of Jesus Christ of Latter-day Saints. 1 2 3 Marini 2003, p. 76. ↑ Marini 2003, p. 71. ↑ Marini 2003, p. 76 lists the following as hymn writers who can be considered as followers of the tradition established by Watts: Charles Wesley, Edward Perronet, Ann Steele, Samuel Stennet, Augustus Toplady, John Newton, William Cowper, Reginald Heber and (in America) Samuel Davies, Timothy Dwight, John Leland, and Peter Cartwright. ↑ Watts 1825, p. 14. ↑ Watts 1825, p. 115. ↑ Watts 1825, p. 117. ↑ "MONUMENT TO ISAAC WATTS, EAST ENCLOSURE". List entry Number: 1396517. English Heritage. Retrieved 24 February 2014.